Do you want to get the full benefit of Wild Goose, but don’t want to camp? How about being able to take a quick afternoon nap without driving off site? Or, crash after the beer-and-hymn sing without having to walk to your hotel room? Or, how about enjoy campfire conversation late into the evening without worrying about finding your cabin? 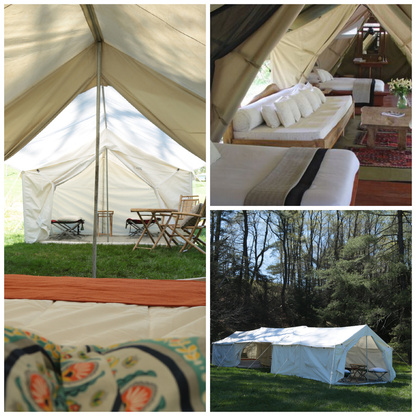 Staying on-site is the only way to fully immerse yourself in Wild Goose, but camping just isn’t for everyone. You may be flying in and can’t bring your camping gear. Or you may just want a little vacation and don’t have the energy to set up an entire tent village for your family. 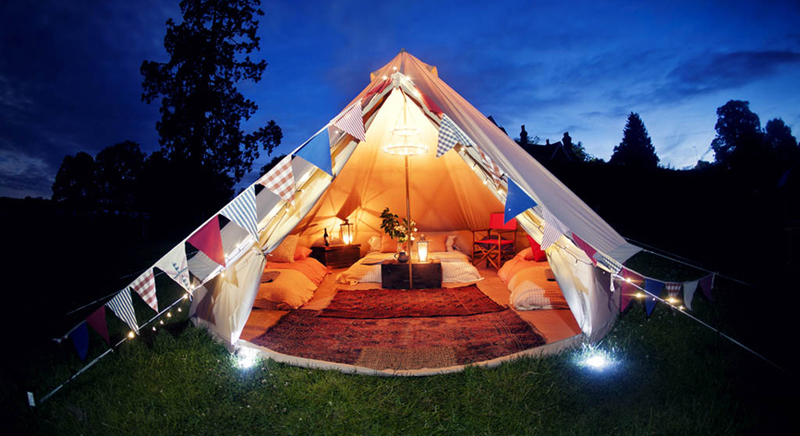 If so, glamping may be for you. For much less than the cost of a cabin, four adults can glamp all three nights at Wild Goose. All you have to do is show up. 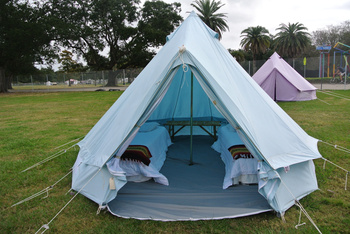 Your tent will be set up and waiting for you, along with your bedding.